(3)Do not use for Desktop Computer Pci-e x1. 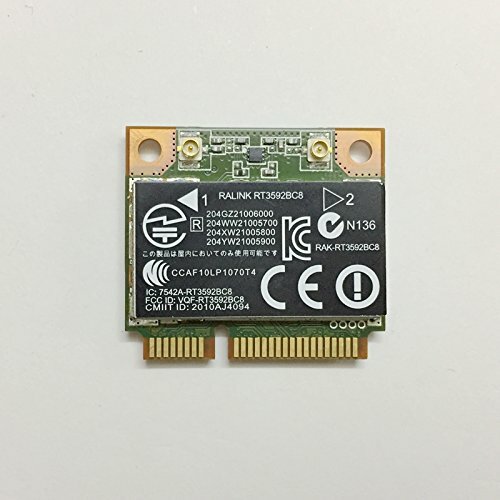 Important Notice: Please must check and confirm your computer's motherboard whether open USB bus before purchase, because this card is going Bluetooth USB bus, if the motherboard does not open the USB bus, then it's unable to use Bluetooth function, also in the device manager cannot identify the new USB Bluetooth hardware. COMPLIANT WITH BLUETOOTH 2.1+EDR AND BLUETOOTH V3.0+HS. HP ProBook 4230s, Notebook PC HP ProBook 4330s, Notebook PC HP ProBook 4331s, Notebook PC HP ProBook 4430s, Notebook PC HP ProBook 4431s, Notebook PC HP ProBook 4530s, Notebook PC HP ProBook 4730s . Do Not USE for IBM/ LENOVO / ThinkPad Laptops. Do not use for Desktop Computer Pci-e x1. If you have any questions about this product by PJ CARD, contact us by completing and submitting the form below. If you are looking for a specif part number, please include it with your message.